﻿Alamance County Meals on Wheels is always in need of funds to provide our services to the community. We accept donations by mastercard, visa, check or cash at our offices at 411 West 5th St, Suite A, Burlington, NC 27215. You can also make a donation on-line via pay-pal. Please help Meals On Wheels feed those who are hungry. A gift of $100 feeds a person for a month, only $25 feeds a person for a week and a simple $5 buy one meal. Please help today by making a donation. If you are unable to donate funds at this time, we are always in need of birthday items for our clients. During the holiday season, Meals on Wheels also collect presents for our clients who have no family so that they have something special to open. We have a holiday tree in our office which we place stars on that contain client's gift wishes. We ask the community to purchase at least one of the three items listed and return wrapped with the star attached to the top of the package. Stars are ready by November 4th and we ask for presents to be returned by December 9th. 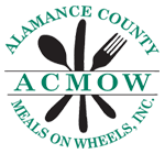 Alamance County Meals on Wheels, Inc. 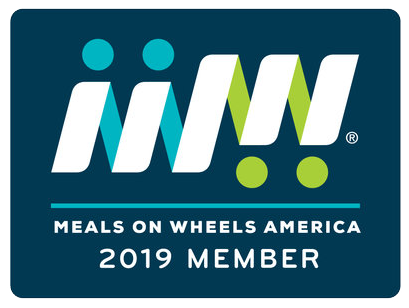 Copyright 2019 Alamance County Meals on Wheels, Inc.